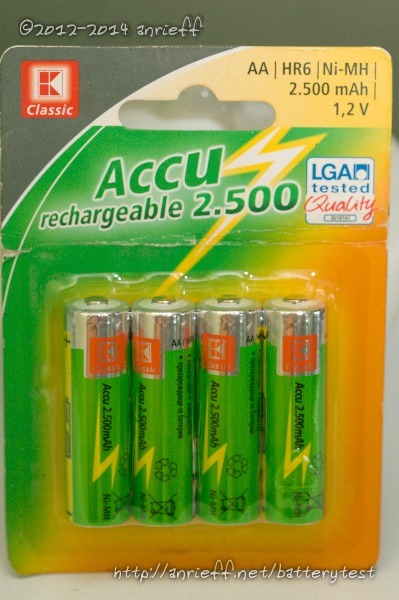 These rechargeables are a Kaufland brand and are obviously non-LSD. 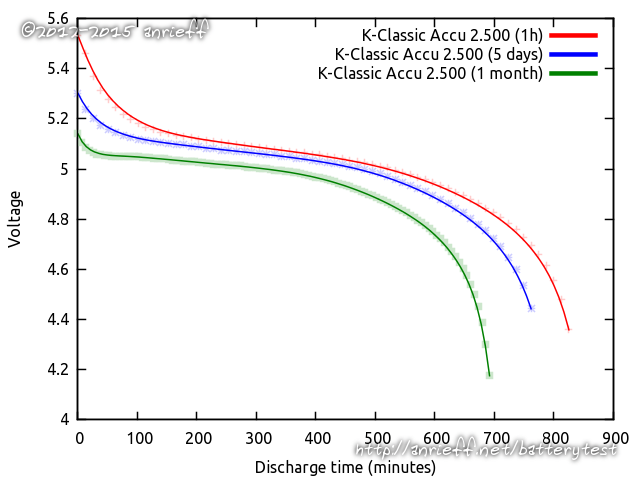 The showed up a pretty good capacity on the 1-hour test - 2360 mAh - but are not well balanced, with a difference of more than 100 mAh between cells. Thanks to Infernus, which gave them for testing! The batteries had no marked date of manufacture, but featured a code, "4713", which I took to mean "47th week, year 2013".